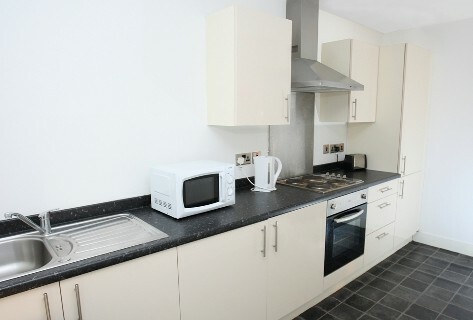 Q3 Apartments has been a favourite of many a student in Manchester for years!. And it’s easy to see why! Featuring One Bedroom and 4 and 5 bed apartments, there’s something to suit every taste at Q3, from first year to postgraduate. ¾ double beds, modern and spacious ensuite bathrooms and stunning lounges and kitchens come as standard and help make Q3 the perfect choice to be your student home. Ideally located for all of Manchester’s universities and with the city centre on the doorstep, you’re never too far from the nightlife either! And with full WIFI throughout the building, it's easy to stay in touch and study hard! An Accommodation Office and dedicated Accommodation Team ensure you are well looked after and have everything you need, night and day. A fantastic Common Room make it easy to make friends and hang out with your neighbours. All inclusive rent means you never have to worry about those pesky utility bills. And full fob access, CCTV and a 24 hour emergency line let you feel safe and secure at all times. Get in touch to book your place at Q3 today! At Q3 you’ll be just a stone’s throw from the centre of all things student in Manchester – Oxford Road. There’s bars, restaurants and shops all catering for the large numbers of students who go to Manchester’s two high-quality universities. You’ll be a few minutes’ walk from whatever you need – supermarkets to stock up on essentials, a thriving night-time scene with great value dining, a choice of bars, a park for a summer picnic or a run, and public transport to take you wherever you need to go. Hop on a bus or tram and you’ll be in city centre Manchester within a few minutes. It’s a modern, vibrant and thriving city with world-renowned museums and art galleries such as the Lowry, fantastic gig and events spaces like the Manchester Academy, and two world-class football teams. If you’re into shopping you’ll love the mixture of independents in the Northern Quarter – from clothes to stationery, vinyl records to homeware, there’s something for everyone. Or you can flex your credit card at some of the high street’s flagship stores in the newly-refurbished Arndale Centre or at the Trafford Centre on the outskirts of the city. 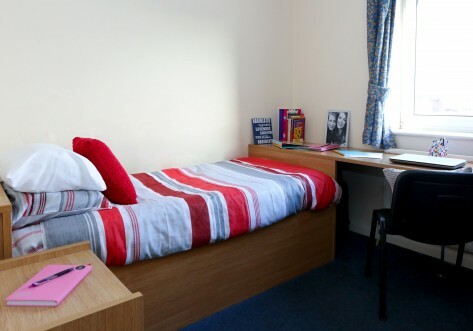 So if your ideal location is close to uni, nightlife and the practical stuff, we think you just found it. Give us a call today to find out more and book your room. 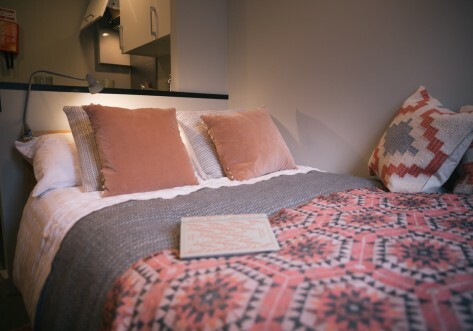 Our Standard Ensuite in a 4 or 5 bed apartment features a 3/4 double bed, desk, chair, wardrobe, shelves, full length mirror and fully equipped ensuite bathroom. As with our Standard but with more space and a double bed. Our biggest ensuite rooms, some featuring balconies! 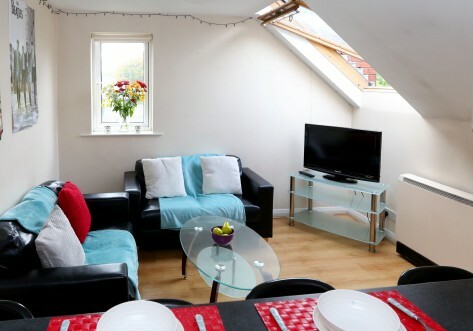 Our One Bed Apartments are the ideal home from home for the discerning student. 3 separate rooms - bedroom, bathroom, and kitchen/lounge - all to yourself. What more could you ask for?